Musicians, like gods and sci-fi writers, play with time at the peril of their work. Because music falls on our ears in real time, and also because we have a cardio-vascular metronome set to 4/4, we are physiologically predisposed to music with a steady beat. We generally respond best to songs that, like us, have a pulse. When we are confronted with rhythms broken up in uneven parts, they tend to strike us as unnatural or jarringly cerebral—or both, if we’re anti-intellectually inclined to think of stimulus to the mind, rather than the body, as abnormal. I’m anything but anti-intellectual, even in my attitudes toward pop music. Still, I found myself struggling with this inborn resistance to erratic musical time as I listened to the first album by a new band out of Brooklyn called In One Wind. By the end of the second song on the group’s first album, a pretty little enigma aptly titled “What Seems to Be,” all my preconceptions about musical time-play had collapsed. In One Wind is one of the most inventive and satisfying new bands to have a name that is weirdly awkward to pronounce. The configuration is guitar, three voices (two women, one man), stand-up bass, drums, and various reeds and woodwinds played by two of the members. 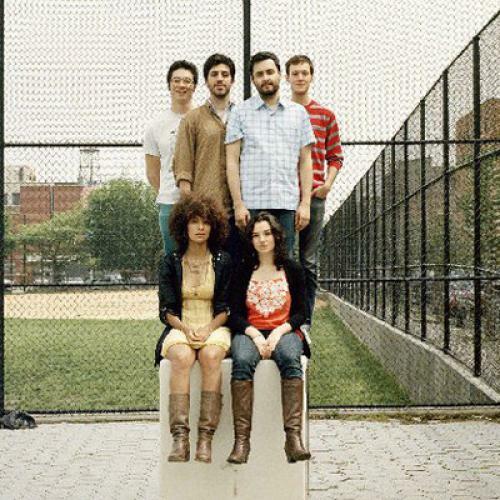 Its orientation is arty in a way that will later date the group as a phenomenon of Brooklyn in the year 2011, but its music is something more than pretentious. It’s not just gimmicky IT-Dept. pop. The band’s debut album, How Bright a Shadow, just released last week, is exuberantly experimental, neatly dissonant, multi-textured, peppered with surprise, and almost radical not only for the angularity of its time, but also for its underlying warmth. Like a great many bands today, most notably Animal Collective, In One Wind makes fragmentary music that grows from the experience of living in the ADD age. Its fragmentation is joyful, less a critique of atomization than a cheerful celebration of it. I wish this music had a bit more bite; what it has is a prankish grin, and it makes me smile back.